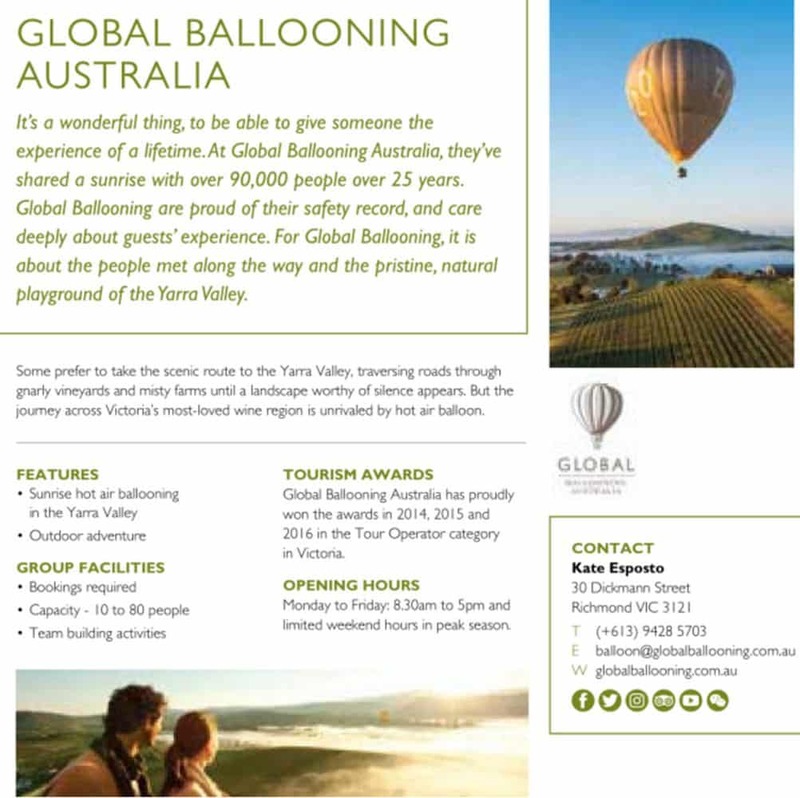 Experience something different and adventurous during your fabulous Yarra Valley vacation by choosing a spectacular balloon ride with the Global Ballooning Company. 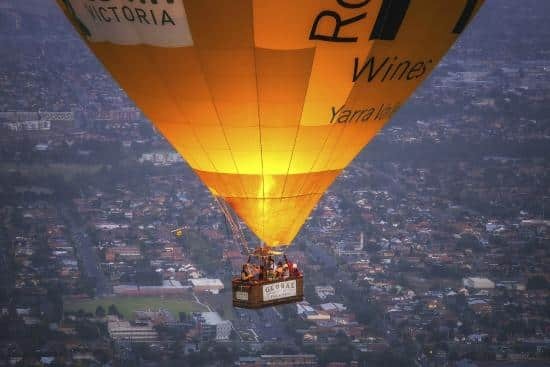 As one of Victoria’s most popular hot air ballooning companies, Global Ballooning Yarra Valley offers an array of excellent balloon rides all throughout Melbourne and the Yarra Valley. 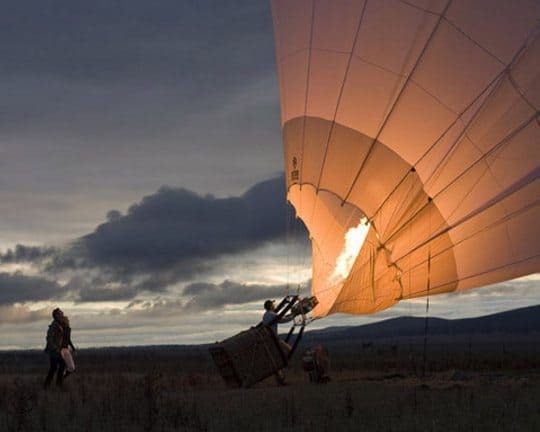 Whether you are looking for a private romantic tour or a larger group tour, with Global Ballooning Yarra Valley you can certainly customise your hot air balloon ride to suit your needs. 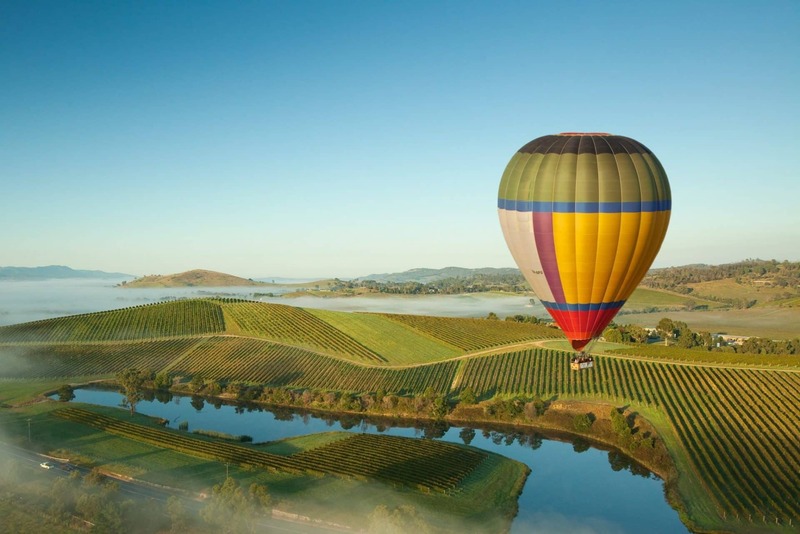 Whilst floating over the Yarra Valley, enjoy scenic views of the hill ranges, forested areas and the beautiful wineries and vineyards of the Yarra Valley. 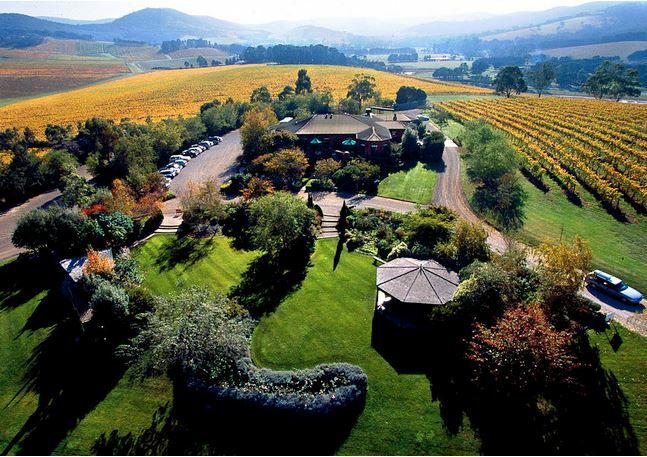 Your tour will last for approximately 1 hour and afterwards, you will be treated to a with a buffet champagne breakfast at Rochford Wines. 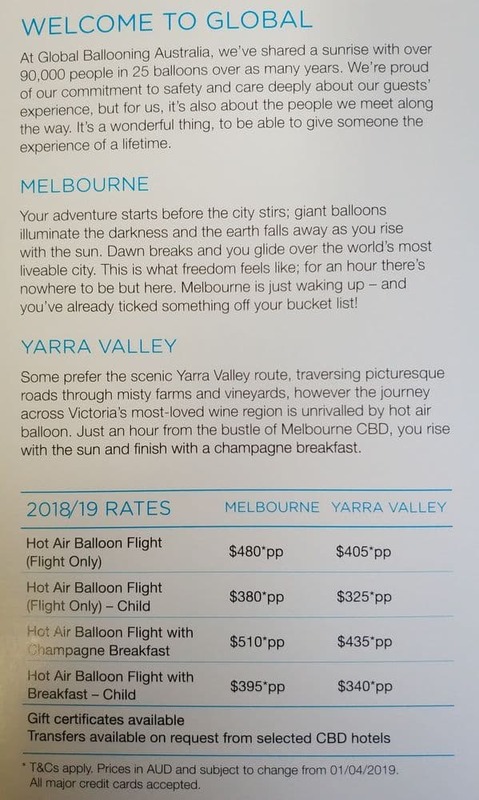 On the day of your balloon ride, you will be required to meet the tour operators one hour before sunrise at their nominated location in the Yarra Valley. You will be briefed on the safety requirements and will be transported to the launch site. Then once everyone is on board, just sit back and relax as you take in the beautiful sunrise over the Yarra Valley. 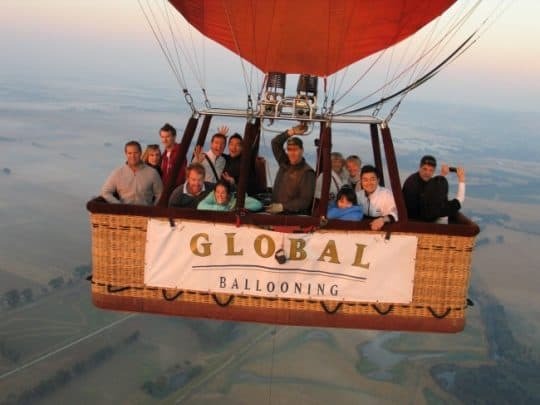 With some packages, Global Ballooning also offers complementary hotel pick up and a sunrise balloon ride for a group of 16 members or more. There are also special packages for wedding parties and other special occasions. Simply notify them in advance of your booking. 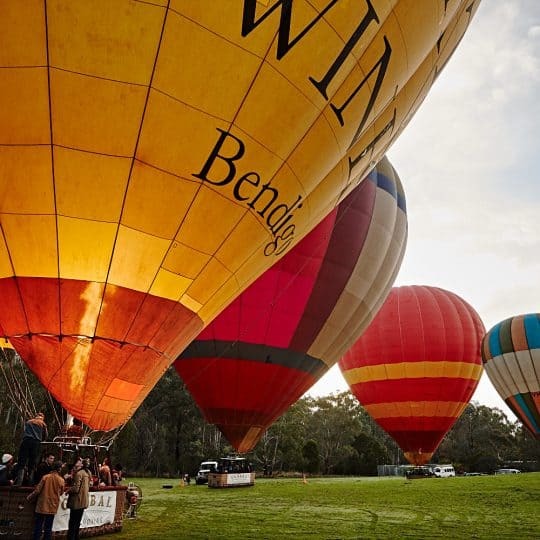 Whether it is a group celebration, special occasion or a sightseeing tour, Global Ballooning tours of the Yarra Valley are an adventure not to be missed. You meet one hour before sunrise (confirm with pilot the evening before).